Its a tad tricky to make advancing blades stealthy! Other than the frisbees, looks like a standard 4 bladed UH-60 tail rotor but with one of the blades bent back, no doubt after hitting something it shouldn't! Stealth is the wrong word. Low Observable. You cant eliminate it, but you can reduce it certainly. Stealth? My Ar$e! Low Flying at Night works. Also, there is that little known tacic of SURPRISE!!! This shot shows clearly that it is five-bladed and that the blades themselves are quite different from those in the H-60 family as a whole. So, no, I don't agree that it's a standard four-bladed TR. That's not like the S-70s I flew for four years. I was quite diligent when doing the pre-flight walk-round but to be fair, it was very dark for some of the flights. I see no reason to think this is any member of the H-60 or S-70 family. The tail rotor is entirely different with more blades and the fairing. The horizontal surfaces are forward swept and shorter. I think it's a newbie! 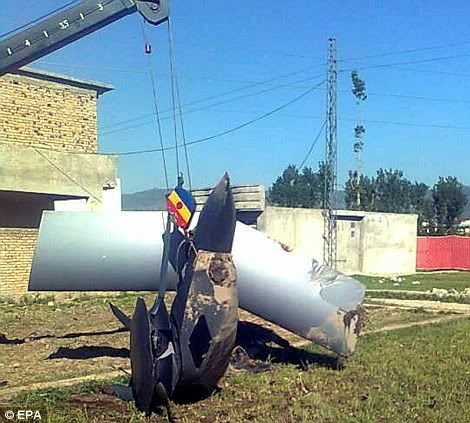 Looks like some sort of lowsig S-76 to me... tail rotor hub is on the wrong side though! You have my interest up, as I cannot recognize that lump ... wonder if anyone has the complete picture that came from. 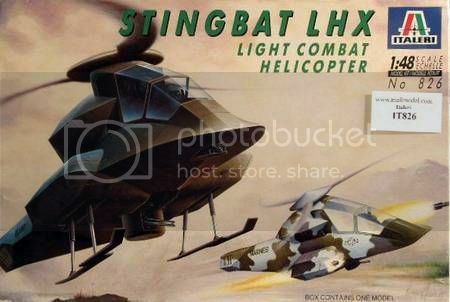 Only stealthy low observable helos that IIRC reminds me of 'Stingbat' plastic model Kit by Revell or Hasegawa released in the early 90s with extreme BERP like blades. 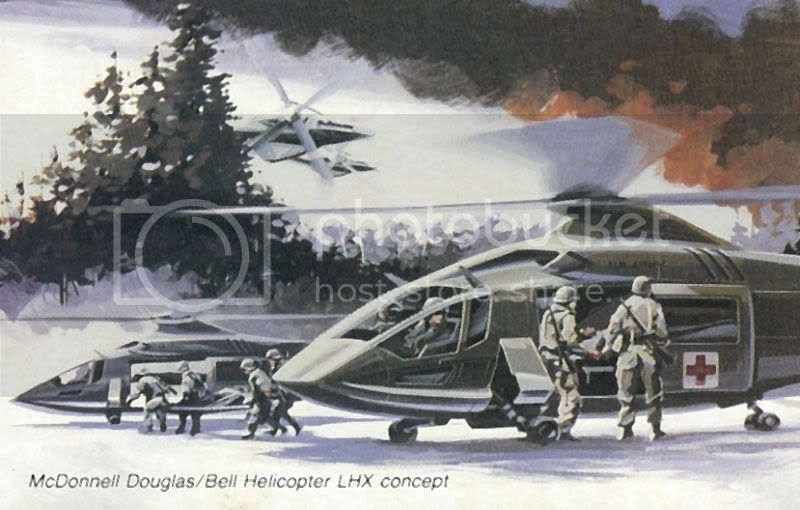 It been based on the artists impression of proposed Bell Helicopter and the then McDonnell Douglas consortium for the LHX program with NOTAR. I had read a rumour that there had been a fly off demonstrator somewhere around the Nevada desert from Bell/McDH and the Army decided to go for the Comanche design (which hadnt flown till 96 anyhow). I've been desperately trying to mentally bend the rear of the 'SpeedHawk' to fit the article seen in the picture - other than a 5 bladed tail rotor - and stubby looking blades I cant quite manage it..
That is definitely something new. The stabilator is not a standard Blackhawk or PaveHawk, nor any other type reportedly used. There's a weird shield on the underside of the aft of the boom. And the tail rotor cap is very similar the main rotor hub on the Commanche. 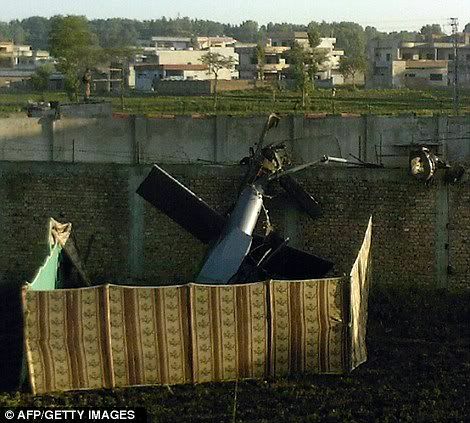 Ask the PLA, seeing in which Country this event ocurred I would not be suprised if the details of the remains are already being looked over at PLAAF HQ. 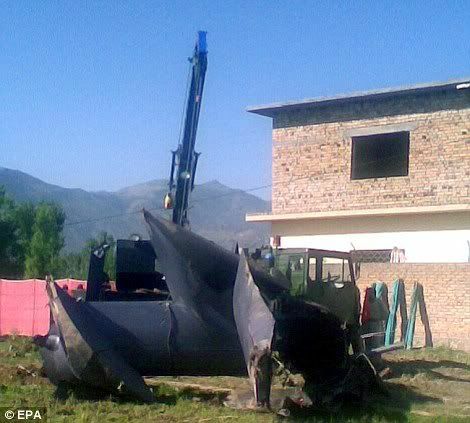 The photo's posted in the Daily Mail suggest a forward sweep to the Stabilizer and a bulbous fairing where the pylon meets the tailboom. Then again I could have it the wrong way round!